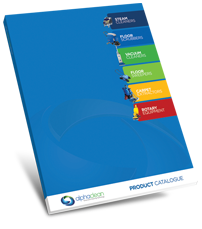 Visit the number 1 shop for floor sweepers in Australia – Alphaclean. Alphaclean is simply the best floor sweepers that Australia has to offer. What Can Alphaclean Provide for your Business? Customers love Alphaclean and their line of floor sweepers; these include two types, the push along and ride ons. The Alphaclean models are made to work in all sorts of businesses and work places. These include small offices as well as larger spaces like factories or car parks. Nothing delivers a professional clean like a Alphaclean cleaner. The range of floor sweepers offered by Alphaclean ensures that you only buy the model that fits your specific needs. You can find more information on these specs and details on the Alphaclean website. It doesn’t matter what size sweeper you use either, all are made to be incredibly efficient and effective. All sweeper include the TRS technology too and this technology truly sets the Alphaclean models above the rest. TRS technology is the signature element to the best sweepers available to Australian clients. This TRS technology is part of an innovative combination of elements that makes Alphaclean sweeps the best. While most traditional sweepers depend on a single rollerbrush the Alphaclean integrates two brushes into their sweeper models. TRS technology brings all these components together to make a well-oiled machine capable of handling the toughest jobs. This is what makes Alphaclean cleaners the best on the market today; they allow for debris to be collected completely then compacted into a rear-mounted hopper. This design also means there are less clogs in your sweeper system too. Bringing all of these elements together creates an amazing sweeper system that is the best Australia has to offer. Contact a Alphaclean store or visit the website to learn more about these amazing machines.